Go on a journey, access our free podcast, discover the music of The Secret Place. Experience the new sound with some of our free mp3 downloads. Visit our store to listen to our albums or make a purchase online. A truly unique and intimate worship experience... straight from the heart and sure to capture yours. Embark on an intimate journey and experience the sound of heaven. 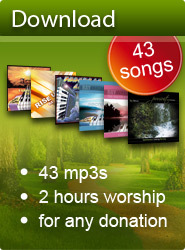 Click here to download a free selection of our worship songs. 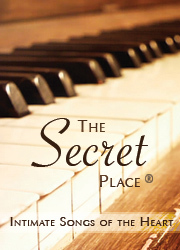 The Secret Place has its own special niche in the realm of christian music, capturing a sound that is creatively fresh and unique. These songs reach for the heart of God, and capture the highs and lows of life's experiences in this eternal quest. With an emphasis on intimacy and prayer, these worship songs are sure to capture your heart, and leave you with an enduring sense of His presence, and a hunger for more. To see the latest updates available make sure you refresh this page. To receive updates and our podcast delivered directly to your inbox, join our newsletter: Musical Manna. 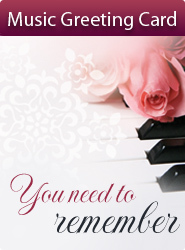 This beautiful greeting card includes the heart-touching song, You Need to Remember on cd and is now available at our online store. Our latest album Deep Calls to Deep is available at the online store. Purchase as either a cd or mp3 download. Deep Calls to Deep is also available as an instrumental. An online community for friends of The Secret Place. Click Here to start blogging. Sign up for 5 FREE songs now! 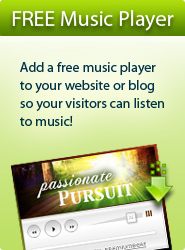 PLUS receive a FREE song every month with our newsletter! "Draw aside, and allow these intimate songs to carry you to the secret place of His presence." The Secret Place captures a fresh sound in worship that goes beyond the external and touches deep into the heart of the worshipper. The music is perfectly suited for your own personal devotion and soaking times with the Lord, as it creates a peaceful atmosphere for an encounter with Him. These moments of deep worship are not for the casual listener, but for those who are hungry for music that provides a platform for worshipping in spirit and in truth. The music is perfect for creating a soft, relaxing atmosphere for your own encounter time with Jesus. 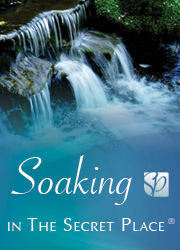 For a unique experience in prayer and intimacy in worship, discover our soaking prayer worship music and prayer music for healing rooms. Our website contains many interesting christian articles and sermons covering a wide range of subjects. Our desire is to create a worship hub of resources for people hungry for the secret place. It is our prayer that as you read our unique christian articles you will develop a love for His Presence and your heart will be turned to Him. We have made available a collection of our songs for you to listen to on our online christian radio page. Create your own secret place of spiritual worship with Him as you soak in His Presence. These intimate expressions of passionate worship are perfect for your own restful quiet time with the Lord. Visit our online radio page to listen to christian music online. Unwind with our relaxing instrumental music available for download. 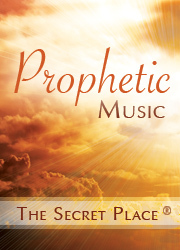 The Secret Place is known for its unique prophetic sound in worship. Many of the songs are raw, live worship recordings that capture the spontaneous, prophetic song of the Lord. These unique songs reflect the longing of our hearts for the presence of God. Go on a live spontaneous prophetic worship journey and experience some of these unique praise and worship songs. There is a new sound of worship. It goes beyond the superficial and touches the deep places of our hearts. These spontaneous prophetic songs are a soothing, gentle reminder that our hearts were made for the presence of God. Read more here... prophetic ministries worship music. Learn more about the history and background of your favourite songs from The Secret Place in the song notes section of our website. We warmly invite you to visit us at Pursuit Church in Auckland, New Zealand. Our most popular worship choruses for contemporary church services. Download for free all the piano sheet music, guitar chords, tabs and song lyrics for some of our most popular worship choruses - completely free!